Thank you so much for all that you do to support the next generation of conservation leaders! All that our students accomplish is possible because of YOU. If you haven’t seen it, check out this great story about an Academy student from Dr. Gary Alt that we shared during our 10K in 10 days challenge. Then, check out some of our 2017 accomplishments below! Pennsylvania Bucktails, focused on white-tailed deer, was June 13-17 and took place at Stone Valley Recreation Area in Huntingdon County. Pennsylvania Brookies field school, which focused on our state fish the brook trout, was July 18-22 and took place at the Sieg Conference Center in Clinton County. Pennsylvania Drummers field school, which focused on our state bird, the Ruffed Grouse, was July 18-22 and took place at Stone Valley Recreation Area in Huntingdon County. 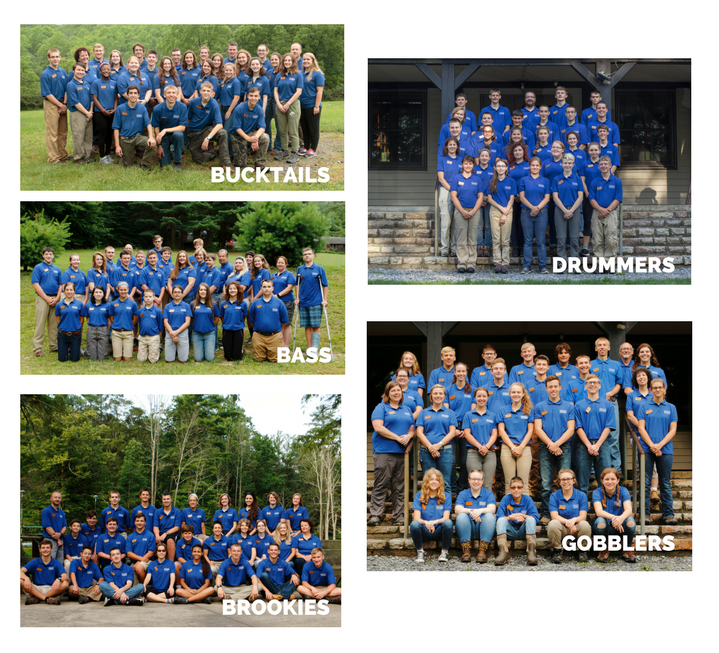 Pennsylvania Gobblers field school, which focused on wild turkey, was July 25-29 and took place at Stone Valley Recreation Area in Huntingdon County and was a new curriculum addition + a new partnership with the National Wild Turkey Federation! 7 students and 2 adult mentors received 3 college credits from Cedar Crest College for their participation in the field school. The Academy Class of 2017 is currently following through with their outreach in the areas of education, service, media engagement, creative arts, and outdoor mentorship. The final number of projects will be recorded for this year’s students in May of 2018. Since completing Bucktails Field School in June, I have been busy completing many outreach projects. During my projects it has been fun meeting new people and working with different organizations. I would like share several stories with you. One of my very first projects was organizing a kayak stream cleanup. I met with a watershed educator to discuss outreach ideas. She knew that unfortunately there is a lot of trash that ends up being dumped into our local Shermans Creek. So I organized an event with fellow high school students and home school students. We floated down Shermans Creek in our kayaks to look for trash along the banks and we collected a tire, half of a TV, a window screen, and many glass and plastic bottles. We properly disposed of the trash we found. I have also been doing many outreach projects with my local DCNR, Bureau of Forestry District 3. First I decided to create a new trifold board about trail cameras. I displayed all different types of photos of wildlife I captured on my trail camera. I thought it would be a great idea to give people trail camera tips so they can enjoy our local wildlife like I do. Some of the pictures I have on my board are of: white-tail deer, fawns, bears, turkey and poults, a coyote, a bobcat, foxes, porcupines, rabbits, and raccoons. 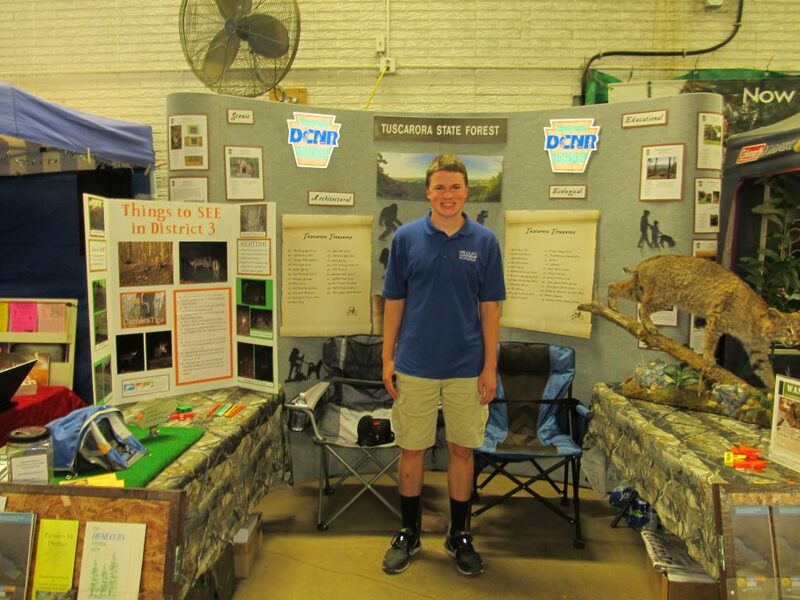 I was able to take my trifold to the DCNR booth at the Perry and Juniata County Fairs. The title of my trifold was “What to see in District 3.” Many people stopped by the booth to talk to me about my pictures and shared their trail camera experiences. My most recent project was volunteering at Tire Wars with the Perry County Conservation District. As the people in our county brought tires, my job was to unload and load them onto a tractor trailer. In four hours, we collected 531 car tires, 42 truck tires, and 32 tractor tires, totaling 605 tires. The ultimate goal of the Tire Wars is to encourage residents to gather up old tires and bring them in for proper disposal. Keeping tires out of forests, fields, and off of roadsides prevents them from becoming mosquito breeding grounds, a source of pollution, and helps to keep Perry County a clean and beautiful place to live and work. A 100 percent of the collected tires were recycled and will later be used for track surfaces, roadway construction, and rubber mulch. YOUR SUPPORT has allowed us to mentor and engage all of our young leaders like Kaden who go above and beyond to give back to their communities. Thank you! To date, as we celebrate our 11th year in 2017, the Academy has graduated 469 youth from 62 counties across the state. These Conservation Ambassadors have conducted 3,093 outreach projects; given more than 12,000 hours of work to their communities; and engaged over 45,000 Pennsylvania citizens. 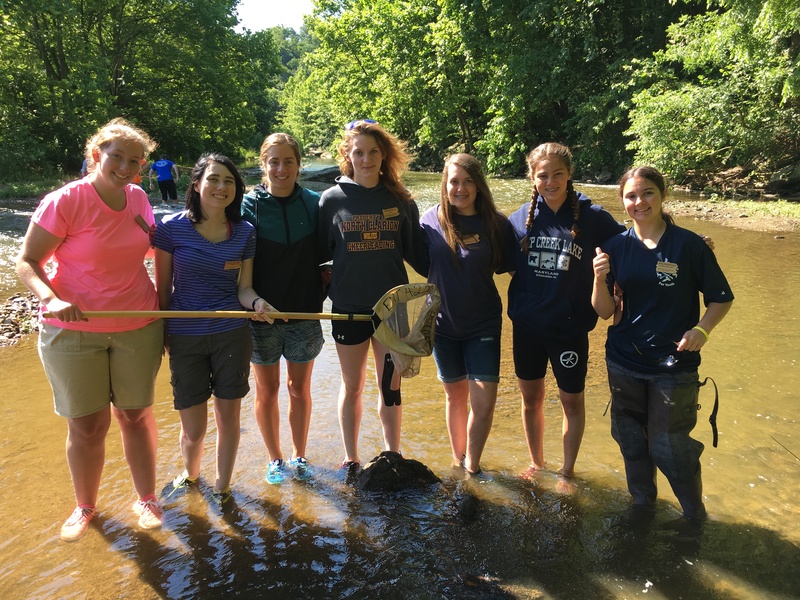 Whether our students become biologists or engineers or writers, we aim to serve these conservation leaders as they grown from teens into young adults and give them the tools to be successful professionals and thoughtful, informed citizens. 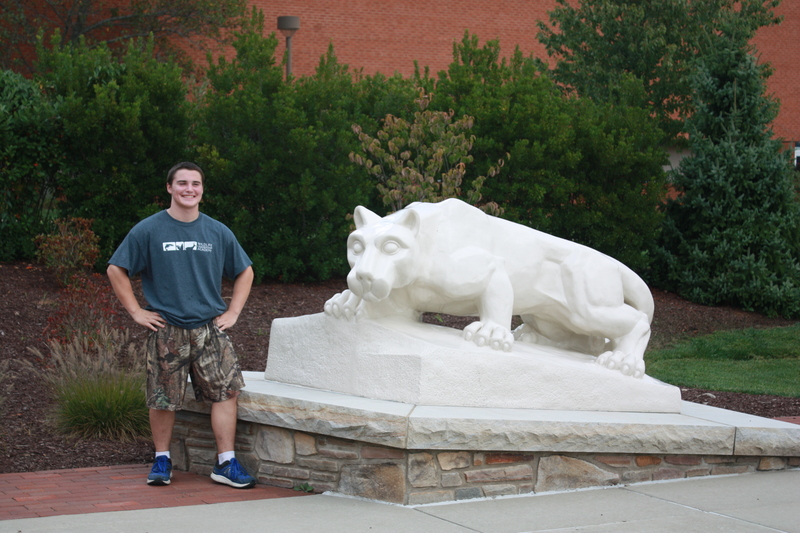 **Derrick V. with the Nittany Lion at our PSU Dubois College Visit Day! A Monthly E-newsletter: A monthly e-newsletter is sent to all participants including tips for community outreach, a “student of the month”, and timely engagement opportunities. Video Conference Workshops: Three video conference calls are offered to all participants on mentoring, volunteering and a community outreach wrap up/how to stay involved with the Academy. NextGen Blog Correspondent Opportunities: Students are recruited to write for the Academy’s weekly NextGen Blog each year. To date, 164 youth-written blogs (and counting!) have been published focusing on varying conservation subjects. College Visit Days: The Academy partners with several universities on college tours created exclusively for Academy students. Two college tours took place this fall to PSU Dubois (Wildlife Technology program) and Susquehanna University (Biology Department). In both cases, Academy students were taken on special tours (i.e. bird banding, fisheries lab) to see the unique opportunities these colleges offer. Professional Meeting Attendance: Students are offered the opportunity to attend various professional meetings. Students who have submitted their Outreach Record Books for check-in this November, will be invited to attend The Wildlife Society, PA Chapter conference and Coldwater Conference in the spring. 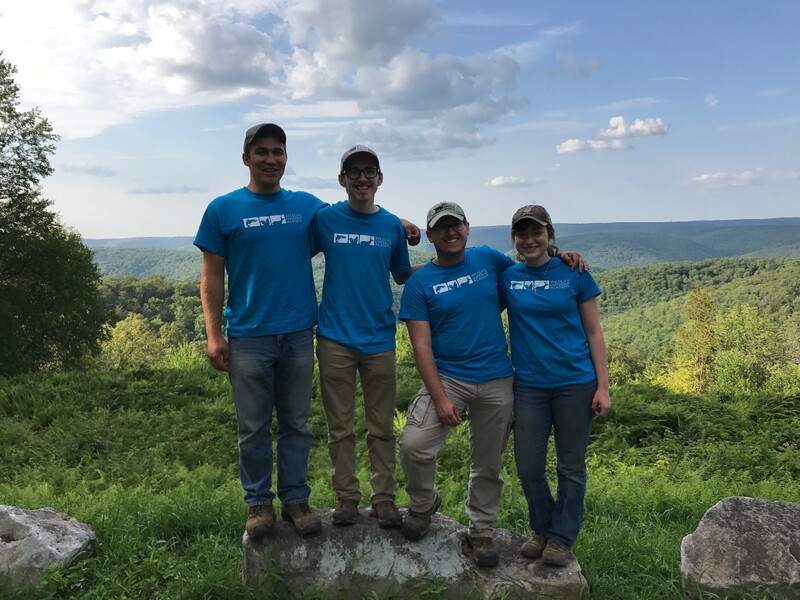 **Alums Sean, Luke, Alec, and Jackie all worked for the PA Game Commission deer research team this past summer! 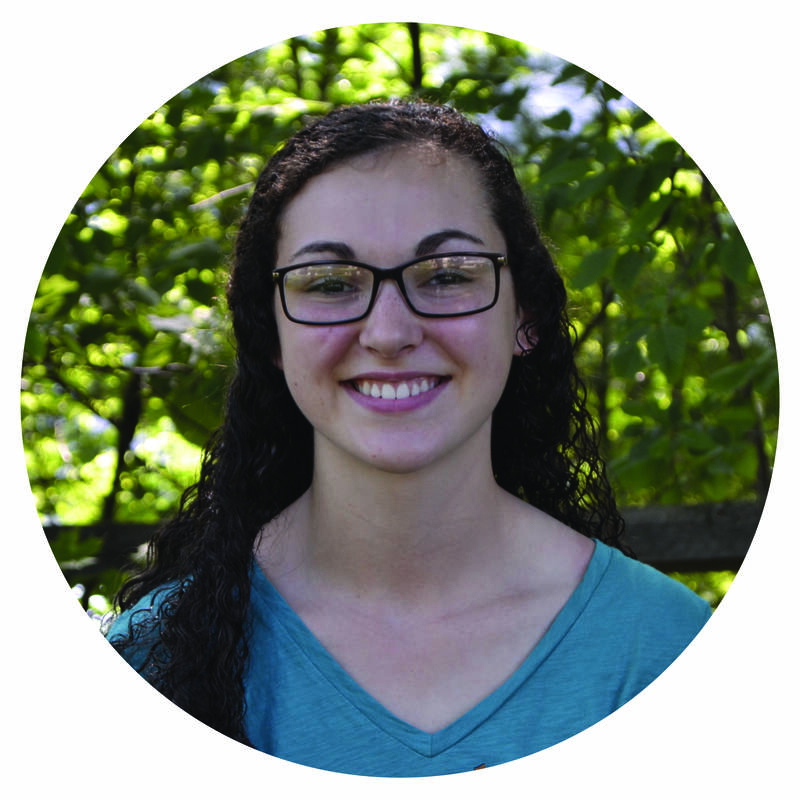 Job References: In addition to verbal job references, between, Director Michele Kittell, and Program and Outreach Coordinator Katie Cassidy, multiple reference letters for over 50 Academy Alumni have been written for jobs, scholarship opportunities, and college applications. Job Experience: High school and college age Alumni may apply to serve as summer staff (aka “Academy Support Team” members). These students gain training in field school logistics, leading team building activities, and teaching various natural resource subjects. In addition, selected based on maturity and leadership potential, Alumni can train and become “Academy Elite” and serve as Lead Coordinators taking on the more advanced role of leading the week of field school and being responsible for staff, program logistics as well as risk management and safety. Career Counseling: Informally, Academy staff have been coaching our students through high school to college / college to career transitions since the programs inception. In 2018, our goal is to activate our Academy Alumni Network by providing for more formal career support including posting job announcements, having regular Q&A opportunities in our online group and providing an in-person career counseling workshop at our Annual Academy Reunion. 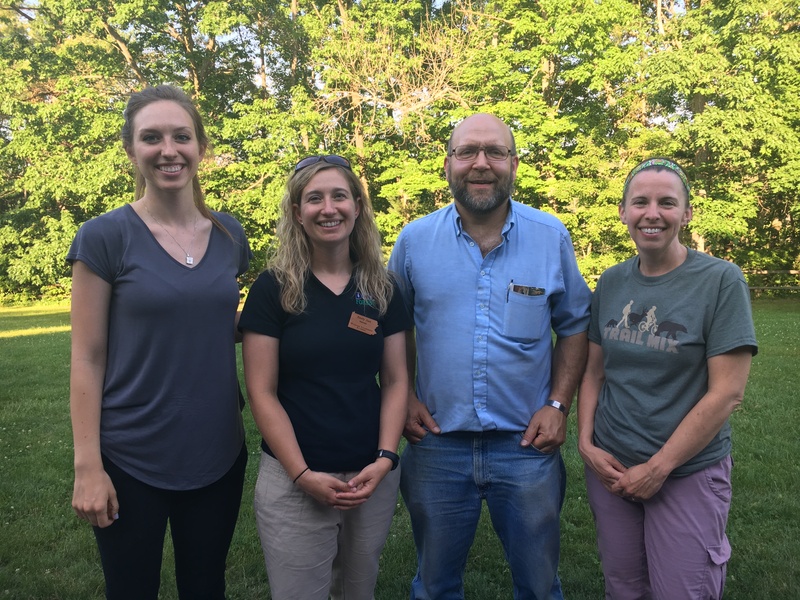 **Tess (PSU Ph.D. Student), Emily (DCNR Wildlife Biologist), Bret and Jeanne (PGC Deer Biologists) all taught at PA Bucktails this summer! Our framework of AMAZING partners allows us to accomplish more than we ever could alone. From individuals to organizations – their invest of time, material, and/or financial support gives our students a high quality educational experience that positively impacts them personally and professionally throughout their life. Some of our partners include: Advanced Telemetry Systems, Inc., Clearwater Conservancy, Clinton County Conservation District, PA Department of Conservation and Natural Resources, Hunters Sharing the Harvest, Department of Environmental Protection, Kutztown University, National Wild Turkey Federation – PA Chapter, Pennsylvania Fish and Boat Commission, Pennsylvania Game Commission, PA Outdoor Writers Association, Pennsylvania State University, Penn State Extension, Quality Deer Management Association – PA Council and Chapters, Ruffed Grouse Society, The Wildlife Society – PA Chapter, Trout Unlimited – Pennsylvania Council, Trout Unlimited – Lloyd Wilson and Spring Creek Chapters, Tylersville State Fish Hatchery, Clinton County Conservation District, Lancaster County Conservation District, Mid-Atlantic Youth Anglers, and USFWS, Northeast Fishery Center. Click here to see a full list of our partners and sponsors. Other in-kind support at an estimated cost of $18,190 includes items such as Federal Work Study students from Bucknell University, printing of education binders for students by PGC and PFBC, and radio telemetry equipment. Thank you again for helping make 2017 amazing! It’s never to late to give and help us continue to impact the lives of these young conservation leaders. You are truly making a difference with your support!